Russia and India are negotiating upgrade of Su-30MKI fighters. It was stated by the head of Russian delegation at the 51st Paris Air Show, Deputy Director of the Federal Service for Military-Technical Cooperation (FSMTC), Konstantin Biryulin, TASS reports. Speaking of the situation connected with the upgrade of Su-30MKI fighters operated by India, the head of Russian delegation said that “at present Russia is negotiating upgrade of Su-30MKI aircraft with the Indian partners. 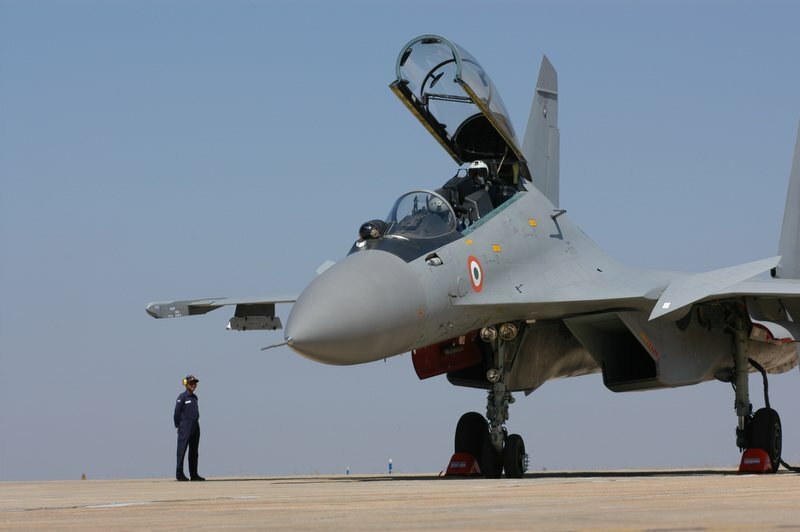 The first Su-30MKI jets were delivered to India 20 years ago”. “The upgrade includes fitting the aircraft with new communication and data transmission systems as well as new radars. All these systems will be upgraded,” he noted. According to the head of the delegation, Russia and India are preparing contracts for joint development of FGFA (fifth-generation fighter aircraft) MTA (multi-role transport aircraft). “Detailed and final design of these two aircraft have been completed,” Biryulin said. “At present negotiations related to signing contracts for joint development of these aircraft are in progress,” he added. 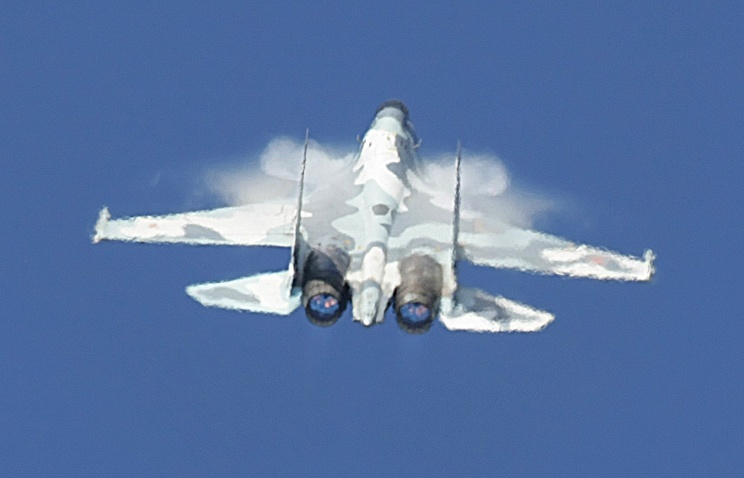 Biryulin also said that Russia submitted tender documentation for Su-35 fighter to Indonesia. “Documentation for Su-35 fighter required to take part in the tender was handed over to Indonesian partners,” he said. According to Biryulin, Rosoboronexport is taking part in the tender for delivery of new fighters to Indonesia. Russia and India are discussing comprehensive modernization of the Su-30MKI fighters, Konstantin Biryulin, head of the Russian delegation, said at the 51st International Paris Air and Space Show. Responding to a question from TASS about modernization of the Indian Su-30 MKI fleet of fighters, Biryulin, the Deputy Director of the Federal Service for Military and Technical Cooperation, said, “together with our Indian partners, we are now holding talks on the comprehensive modernization of the Su-30MKI aircraft, which were delivered about 20 years ago”. 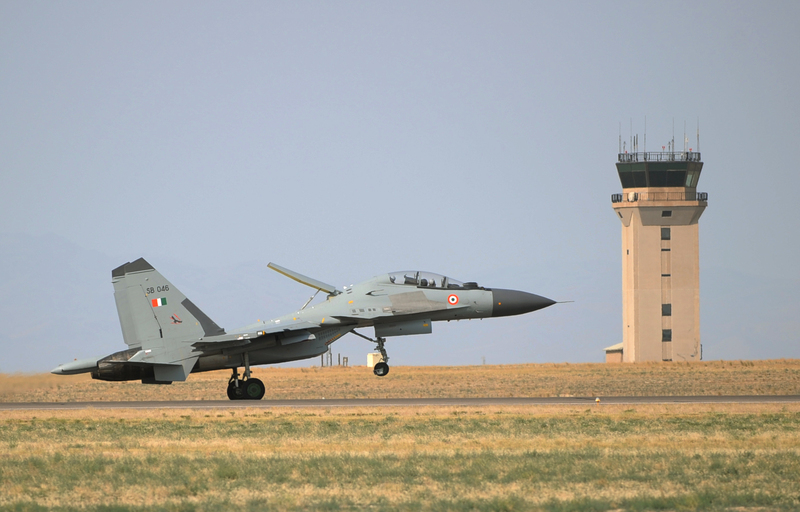 “The modernization package would include on-board communications and data transfer systems, as well as radar equipment of the Su-30MKI fighter jets. All of these systems will be modernized,” he said. India’s Ministry of Defence (MoD) has reportedly become so frustrated with the impasse in negotiations with Dassault over the contract for the Rafale fighter aircraft that it has decided to accelerate the timetable for the localised production of Russia’s PAK-FA/T-50 fifth-generation fighter. he contract for this programme, in which India has a subsidiary role in the development of a version of the aircraf…t tailored to their requirements, is in the final stages of negotiation. 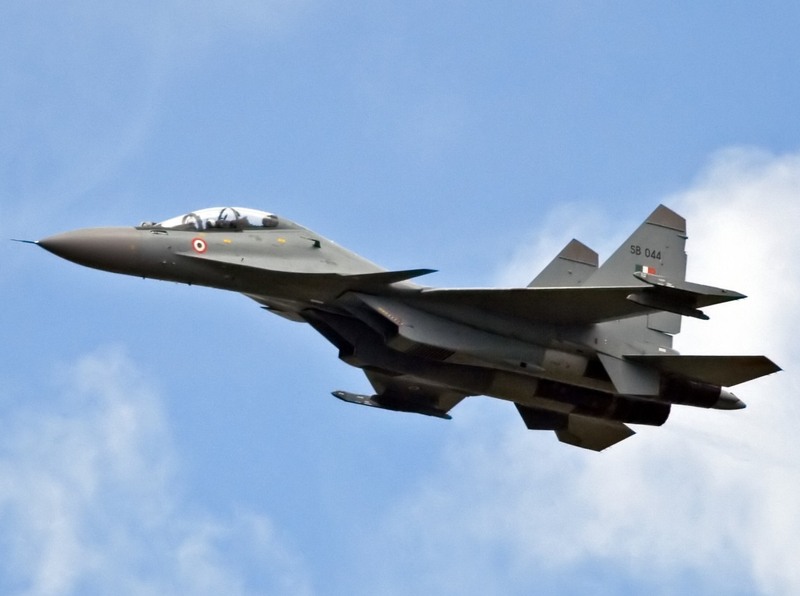 The plan was to have had the T-50 produced in India, much like another Russian-designed fighter, the Sukhoi Su-30MKI, which has been in series production for more than a decade at the Hindustan Aeronautics Ltd (HAL) plant in Nasik. The first Su-30MKI armed with air-launched BrahMos-A supersonic cruise missile was handed over to Indian air forces, Voenno-promishlenniy Courier reports. The handover ceremony was held at Aero India-2015 show held in Bangladesh. CEO of Hindustan Aeronautics Suvarna Raju and CEO of BrahMos Aerospace Sudhir Mishra took part in the ceremony. According to the specialists, over the last six or seven months changes were made in the design of the aircraft, in particular, loads applied to the fighter’s structural components were redistributed. At that, the missile is 500 kg lighter and about 50 cm shorter compared to its previous version. The first tests will be carried out in March; the specialists will be able to assess the results of their work carried out over the last two years. They are going to start preparing the second fighter for testing upon completion of these tests in March. In future it is planned to make similar modifications to 42 Su-30MKI jets operated by Indian air forces. In 2015 Irkut Corporation will deliver six Su-30MKI assembly kits to India (fighters will be assembled by HAL), RIA Novosti reports with reference to Senior Vice-President of the corporation, Vitaly Borodich. “We have six assembly kits (including materials, components, etc.) left to deliver under contract for delivery of 42 kits signed in 2012,” Borodich said at Aero India 2015 airshow. The contract will be implemented this year, the source added. We remind you that a total of 222 assembly kits should be delivered to India. Russia and India are the largest partners in the area of military-technical cooperation: over 70% of weapons and military equipment used by Indian army, air forces and navy were manufactured in USSR and Russia. According to the Federal Service for Military-Technical Cooperation, in 2013 Russia delivered weapons and military equipment to India worth $4,78 billion, in 2014 – $4,7 billion. In 2015 Irkut Corporation (part of United Aircraft Corporation) will complete deliveries of Su-30MKI assembly kits to India, RIA Novosti reports with reference to the corporation’s press-service. “In 2015 Irkut Corporation will complete deliveries of Su-30MKI assembly kits to Hindustan Aeronautics Limited (HAL, India). Thus the corporation will successfully implement a contract for delivery of 222 Su-30MKI assembly kits; the fighters are assembled at HAL’s Nashik factory,” said in the press release. 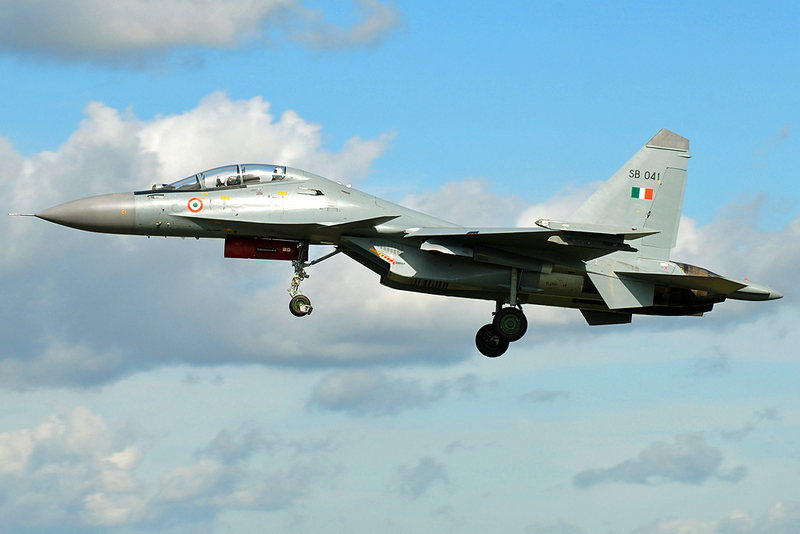 At present Indian air forces operate around 300 Su-30MKI fighters; some of them were assembled in Russia. Super-maneuverable multi-role two-seat combat aircraft Su-30MK (the version developed for India is designated Su-30MKI), manufactured by Irkut Corporation since 2002, is able to destroy air, ground and surface targets using high-precision weapons. It has significant combat radius and may be operated under any weather and lighting conditions as well as under conditions of jamming and counterfire. The total backlog for Su-30MK jets exceeded 300 aircraft. These jets have proven their capabilities during operation in India, Malaysia and Algeria.